At the time it was published by the most successful mutual fund manager of all time, Peter Lynch, One Up on Wall Street was considered pie-in-the-sky by some because it was addressed to the average investor who wanted to select individual stocks for a portfolio, recounting wildly successful investment strategies. One Up on Wall Street was the single most important finance book of my childhood, and thanks to Aaron, I now have the original copy I read as a 10-year-old sitting in my library. It taught me that earnings matter and, more specifically, the price you pay for those earnings matters even more. 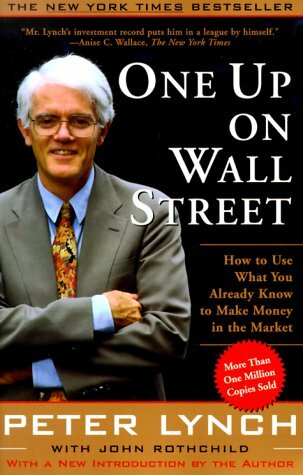 One Up on Wall Street by Peter Lynch – It’s currently $10.88 on Amazon. I have several copies in my house and office. Slow Growers – Large and aging companies that grow slightly faster than GNP. Electric utilities are a good example. Typically pays a generous and regular dividend. Stalwarts – Companies such as Coca-Cola, Procter & Gamble, Hershey’s, and Colgate-Palmolive, these firms grow faster than the slow growers but are normally huge enterprises. There should always be several in a complete portfolio because they offer good protection during recessions and hard times compared to other types of holdings. He would buy them when they were undervalued and sell them when they had gone up 50% to 60%. I tend to buy them and never sell them, collecting them in tax shelters where they will compound for decades or, in some cases, until I pass away and are left in my estate. Fast Growers – Small, aggressive, new companies that are expanding rapidly. Think of Starbucks or McDonald’s during the IPO days when it was opening a new location on every street corner or Microsoft when it released Windows 3.0. Cyclicals – A business with sales and profits that rise and fall in regular, if not completely predictable, fashions. Earnings expand and contract; expand and contract. You cannot buy and hold cyclicals for long-term investments. These are businesses such as airlines, tire companies, steel companies, and chemical companies according to Lynch. Turnarounds – Companies that have been almost destroyed or severely hurt, but are trying to right the ship. The most famous turnarounds in the past century include the return of Steve Jobs to Apple when he took the firm on a 100x increase in per share market value, as well as the government bailout of Chrysler several decades ago when the taxpayer stepped in to save the auto industry and the business returned to profitability; shareholders got very rich. Not everyone likes turnarounds – they are risky. Warren Buffett is known for saying, “Turnarounds rarely turn”. If things don’t improve, your holding could end up in bankruptcy court. I’ve only had one investment in my life end up going bankrupt, and that was shares of Borders Group during the turnaround efforts. I bought between $10 and $16 and promptly watched them go to $0. Asset Plays – These are companies sitting on something valuable that others have overlooked. Assets can include cash, real estate, patents, etc. Lynch gives a famous example of Penn Central following its bankruptcy restructuring. It emerged from the courts with a “tax-loss carryforward, cash, extensive land holdings in Florida, other land elsewhere, coal in West Virginia, and air rights in Manhattan”. He talks about a business called Telecommunications, Inc., a cable company, that sold for 12¢ a share in 1977 and went to $31 a decade later for a 250x increase. The profits were pathetic, there was a ton of debt, and it looked like a badly run cable enterprise but the assets were enormous. 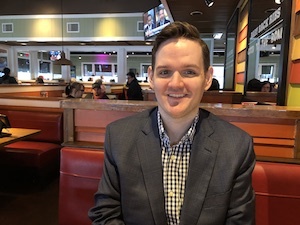 Once people realized what the firm was sitting on (the cable subscribers in local areas in which the business had a monopoly and for which much better companies would gladly pay), the adjustment came. One of the most amusing things about the book is on page 78. Peter Lynch talks about another great investor named Warren Buffett, who most people didn’t know at the time. He describes Buffett’s holding company, a little-known Nebraska corporation called Berkshire Hathaway, and how it went from $7 per share in the 1960’s to “$4,900 today”, creating a then-700-fold increase. He was talking about the Class A shares (there were not, yet, any Class B shares). As of Friday, the stock closed at a price of $150,141 each and I still think it is still undervalued. That puts it at a 21,449-fold increase. Peter Lynch was the starting point for pointing me toward a fundamental approach not just in stocks, but in all asset acquisitions. His book changed my life. About this post: Among the top requests I constantly receive on the site is to write a list of the “must have” books that I would recommend to my own family members if I were trying to teach them about finance, investing, business, etc. I have published a long list of the titles, which you can find in the book recommendation section. To make sure you get the version I am talking about in the post, click the image, which will take you to the correct copy at Amazon.